The sale and use of tobacco products is a public health concern and is the leading cause of preventable deaths in the United States. Pharmacies are places where people go to purchase medicine and products that increase their well-being and health. However, most pharmacies in the United States also sell and market the use of cigarettes in their stores. Tobacco products are known to cause more than 480,000 deaths a year in the United States. The use of tobacco affects not only those who use these products but also the environment and the individuals that live in those communities. The dangers of tobacco use are well documented and includes lung disease, heart disease, stroke, and various cancers, among other health problems to smokers. That’s not to mention the negative health effects on those exposed to second-hand smoke. “Pharmacies are places where people go to get better, not to get sicker. All businesses with a pharmacy are considered health care facilities, and as such, it poses a conflict of interest to have medications that make you better, while selling tobacco products, which claims countless lives nationwide,” said Roberto Terrones, MPH, Program Coordinator at California Health Collaborative San Bernardino County Tobacco Control Program. Community members as well as health advocates oppose the sale of tobacco products in pharmacies for various reasons: The sale of both tobacco products and the medicines used to treat tobacco-related illnesses are sold in the same store, often these items are placed side-by-side, making it harder for smokers to quit. Also, the sale of tobacco products sends a mixed message to consumers by reinforcing positive social perceptions of smoking. Manage a comprehensive county-wide tobacco control plan that seeks to reduce tobacco use, exposure to second-hand smoke, and other health consequences of tobacco products. Conduct educational presentations with community stakeholders; participate in community outreach events, and program and media materials development. “My MPH degree from Loma Linda University School of Public Health prepared me to face the public health challenges in San Bernardino County," said Roberto. Currently, the California Health Collaborative—San Bernardino County Tobacco Control Program is leading local efforts in the implementation of a tobacco-free pharmacy policy. This policy would be the first of its kind in San Bernardino County, where 14.6% of adults use tobacco. In California, there are 7 jurisdictions that have already prohibited the sales of tobacco products in pharmacies, these are: San Francisco, Richmond, Hollister, Santa Clara, Daly City, Berkeley, and Healdsburg. Program staff conducted public intercept surveys, key informant interviews, and meetings with local decision makers and pharmacists to gather input on the effect of this policy in local communities. Overall, the majority of findings indicate a large support for this type of policy, and the willingness of community residents to move forward. When residents in San Bernardino County were asked if they would support a tobacco-free pharmacy policy, 89% stated yes. Cindy Lopez, a current MPH student at Loma Linda University School of Public Health currently working on her practicum experience at the San Bernardino Tobacco Control Program. “Working on this project has provided me with real world experience in the field of public health,” said Cindy. “I have the opportunity to gain the insight and feedback from local decision makers and key players that would allow us to implement a tobacco free pharmacy policy in Loma Linda. Passing something like policy would greatly benefit the health of our community." From 2015 to 2016, the SBC Tobacco Control Program, through presentations and sharing information to land lords, was able to facilitate the transition of 19 apartment complexes to be 100% completely smoke-free. 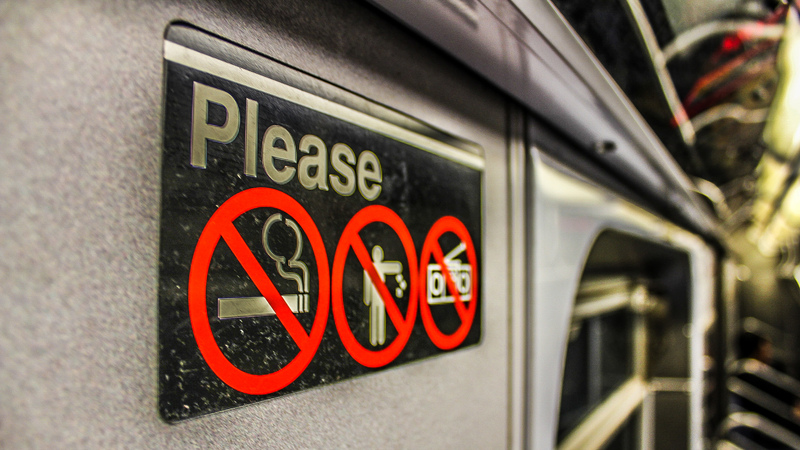 These smoke-free policies covered over 2500 apartment units. Additionally, the SBC Tobacco Control Program worked with the Housing Authority of the County of San Bernardino to provide technical assistance in transitioning to smoke-free public housing. Since 2015 the Coalition for a Tobacco-Free San Bernardino County has increased by 200% and represents a diverse group of traditional and non-traditional partners from San Bernardino County. As leaders in health care, public health, and public policy in San Bernardino County, our hope is that our communities remain healthy, safe, and informed about the dangers of tobacco use. Implementing a policy banning the sale of tobacco products in pharmacies would not only save lives but it would also set a precedent for many cities wanting to transition their pharmacies to become tobacco free.